The 2017 Opel Finn Gold Cup is a true meeting of Finn sailors from around the world. It’s been 35 years since the Finn class has managed to attract as big an entry as it has for this year’s Finn Gold Cup, due to start at Balatonföldvár, Hungary, on Monday, September 4. One hundred twenty-four sailors from 32 countries pre-registered for the 61st Finn Gold Cup, the World Championship of the class. The entry list includes the great and the good, the old and the young, the new and the experienced. Balaton has also attracted sailors from across the age ranges with the Masters, Grand Masters and Grand Grand Masters, and even former Legend, champions in attendance. Of the 45 young sailors who competed in last week’s U23 World Championship across the lake at Balatonfüred, around 35 have also entered the Finn Gold Cup. The line-up also includes former World and European champions, as well as 12 of the sailors who took part in the Rio 2016 Olympics. It covers the full spectrum of Finn sailors and Finn sailing and whoever comes out on top by next Sunday will be fully deserving of the title of Finn World Champion. Only two of the sailors here have previously won the title. Ed Wright won in 2010 and Jorge Zarif won in 2013. Both have had good seasons so far with Wright picking up the silver at the Europeans and Zarif winning the World Cup Series Miami. Last year’s champion Giles Scott is not competing, so the Finn Gold Cup will change hands for the first time since Zarif’s win in Tallinn. The European Champion, Jonathan Lobert, is still looking for his first world title and is one of the clear favourites this week. The 2012 Olympic bronze medallist had a disappointing Olympics in Rio, but has bounced back faster than ever. However, this will be no easy championship, with the tricky conditions that Balaton is famous for, and at least 15-20 sailors capable of winning the title. There is a deep field of talent in the class with all the major events so far this year being won by different sailors. Nick Heiner is on a high after winning last month’s 2018 World Championship test event in Aarhus, Denmark. Though he made it look fairly easy there, a lot of top names were missing. Alican Kaynar took also took his first major win in the class earlier this year with a victory in Hyeres, as did Max Salminen in Palma. Ben Cornish also took his first major win with gold at the Sailing World Cup Final in Santander. Also competing on Balaton next week will be the 2010 European Champion, Ioannis Mitakis, as well as other recent Olympians Tapio Nirkko, Facundo Olezza, Anders Pedersen, Piotr Kula, Jake Lilley, Tom Ramshaw and Deniss Karpak. But, perhaps the biggest headline stealer could be that of Hungary’s own Zsombor Berecz, a sporting and sailing hero in Hungary. The home favourite has been strong all year with a fifth at the Europeans and a silver medals in Santander and Palma. 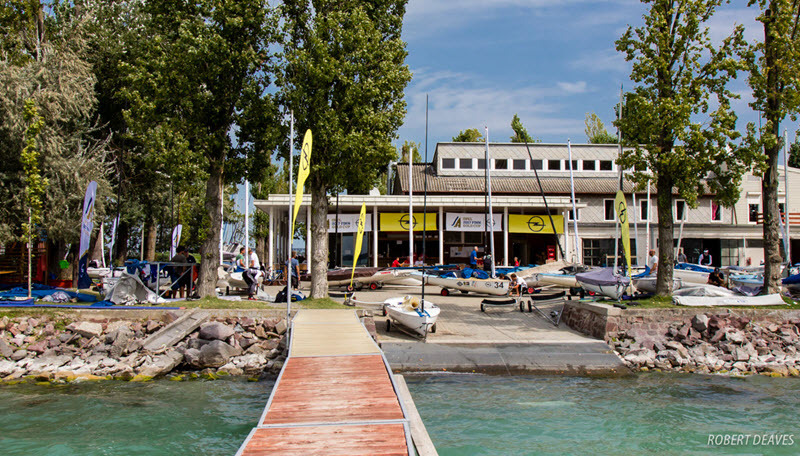 The last time the Finn class sailed a major Championship on Balaton was the 2007 European Championship, also at Spartacus Vitorlás Egylet at Balatonföldvár, the host club for this championship. That year produced a few surprising results and no one is expecting anything different this year. Many of the sailors have trimmed off some weight for this event, which of course means the forecast shows moderate to strong winds for the early part of the championship. Practice sessions over the past few days have ranged from northerly 8-12 knots to southerly 12-16 knots. But it’s what happened next week that counts. One hundred twenty-four of the world’s best Finn sailors are taking part in the Finn Gold Cup in Balatonföldvár, Hungary. It is the highest entry for 35 years. 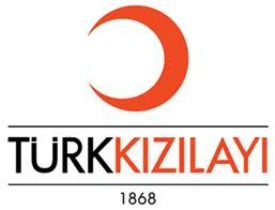 Eleven races are scheduled from Monday to Sunday (Sept. 4-8) with the medal race for the top ten concluding the event.